It’s always a big deal to win a coveted Wolves XC Series 1st place ribbon! Wolves runner Jamie Wigmore established a women’s course record on Saturday at the Wolves XC Relay at Wapiti Nordic. Running the first leg for Wolves – Gurls Rool, Wigmore covered the hilly 2.8 km track in 10:58, 29 seconds better than Fiona Benson’s 2010 mark. Wigmore and her teammates, Maria Houle and Christie Shepherd, won the three person, three leg event in a time of 36:21, over a minute ahead of the second place team of Wolves – Droppings. Brandon Wladyko had the quickest men’s leg. The second year GPRC team member ground out 10:17 leg, a mere 8 seconds off of Hayden Hollowell’s 2013 course record. Camden Sipma (3:58) and Madison Twelvetree (4:11) had the quickest boys and girls 1 km legs in the elementary 3 x 1 km race. The two along with Adam Twelvetree formed the team of I Know I Emailed Bill which won the event in a time of 12:32. The Wolves XC Relay was the final event of the 2015 Wolves XC Running Series and the last event on the local xc running calendar for 2015. However, the GPRC Wolves team still has some unfinished business as it contests the ACAC XC Running Championships in Lethbridge next Saturday and the CCAA XC Running Championships in Brockville, ON on November 14. 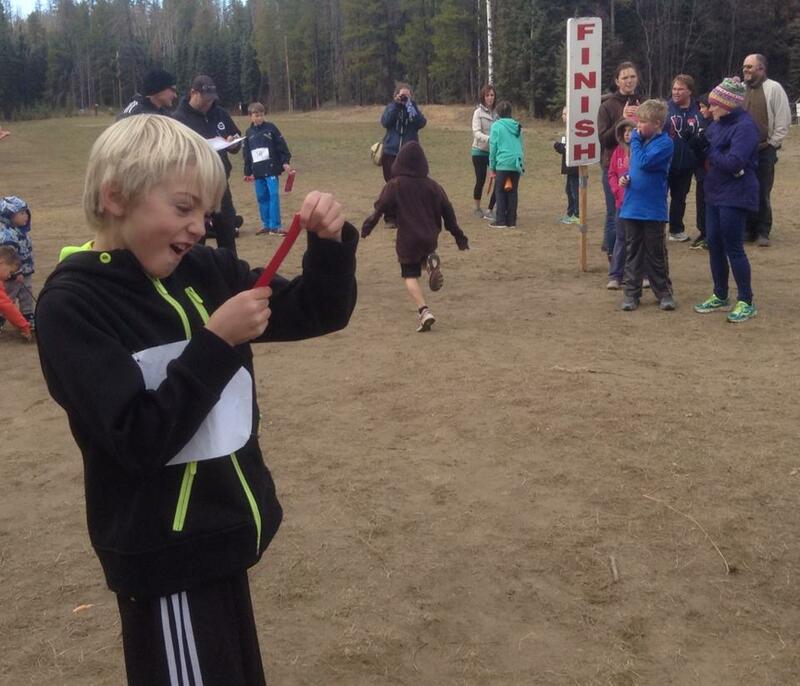 This entry was posted in Cross Country and tagged Brandon Wladyko, Cross Country Running, Fiona Benson, GPRC Wolves Cross Country, Hayden Hollowell, Jamie Wigmore, Wapiti Nordic Ski Trails, Wolves Athletics Club, Wolves X-C Running Series, Wolves XC Relay. Bookmark the permalink.